Carey Services was featured Monday morning on the Hometown Heroes segment of the Fox & Friends morning television show. The segment featured the Mr. Canary Co., for which Carey Services has produced birdfeeders for about 20 years. The products are sold in many large retailers throughout the United States. The Hometown Heroes segment highlights a small company that is doing good through an innovative product or way of doing business. Two sisters founded Mr. Canary 20 years ago to market a tube bird feeder designed by their father. 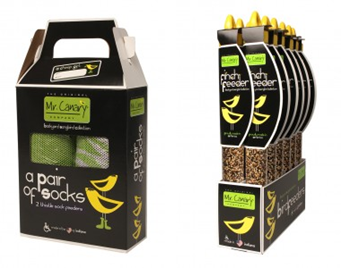 The sisters approached Carey Services to produce the product soon after receiving their first large order from a major retailer.